UVL Container Service is ideal if you require temporary storage, allowing you to keep your belongings in a container for up to 30 days at no additional charge. 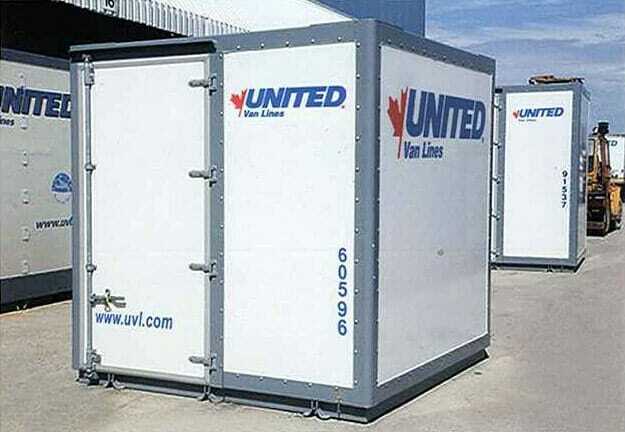 United Van Lines Container Service is used for long distance moves outside of British Columbia but within Canada. With various sizes available this method of long distance shipping allows you to keep your items isolated from others with exclusive use containers. These containers are weatherproof and remain sealed from loading at origin to arrival at the destination. UVL Container Service is ideal if you require temporary storage, allowing you to keep your belongings in a container for up to 30 days at no additional charge. Why Choose UVL Container Service? Contact Us today to talk with one of our professional Moving Consultants to discuss which service option best suits your needs.